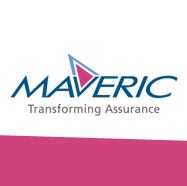 Maveric Systems is in the business of providing end-to-end IT Life Cycle Assurance Services to regional and global leaders in Banking, Insurance and Telecom verticals. Our aspiration is to be a global top 10 Assurance Service provider. While we have been leaders in the independent testing space over the last decade, we have over the years, expanded our offerings to provide assurance services across the technology adoption cycle. We provide Program Assurance, Process Assurance and Application Assurance Services to our clients.